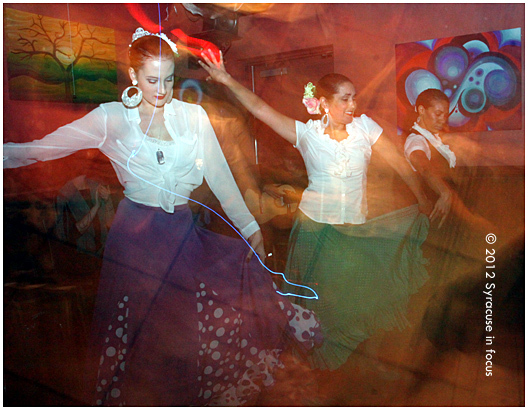 Puente Flamenco danced on stage tonight for two shows at Dolce Vita on the Connective Corridor. 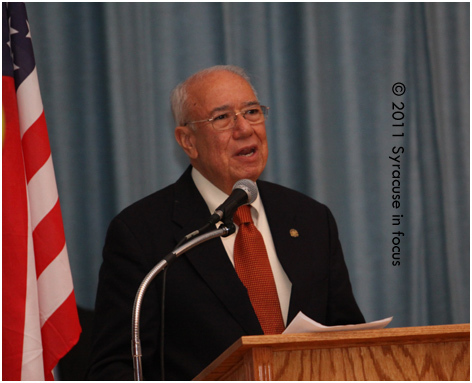 The event was part of Hispanic Heritage Month celebration. 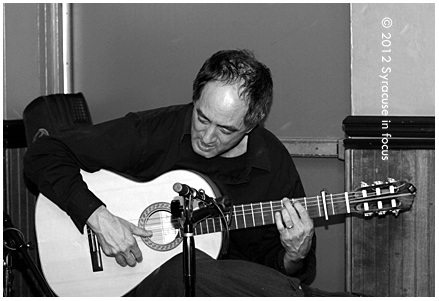 Puente Flamenco's David Chu sings on stage at Dolce Vita. 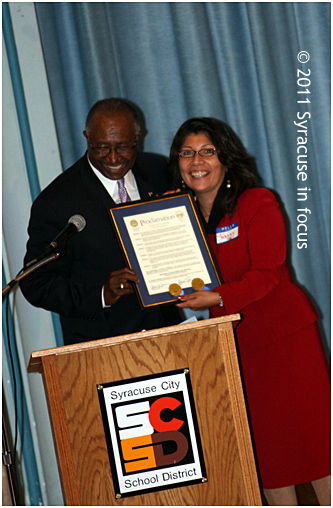 Syracuse Common Council President Van Robinson presents a city proclamation with on-air personality Fanny Villarreal during the Hispanic Heritage Month yesterday at Delaware Academy. 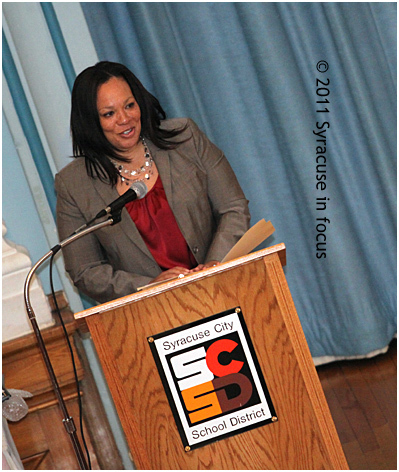 SCSD Superintendent Sharon Contreras, the keynote speaker, talked about her Hispanic heritage and about Latino achievements and educational goals.